Gas stove ovens must be properly maintained in order to ensure their efficiency. Dirty and clogged burner orifices and compartments may not only cause ignition problems; they may also interfere with temperature regulation, which may leave unsatisfactory cooking and baking results. 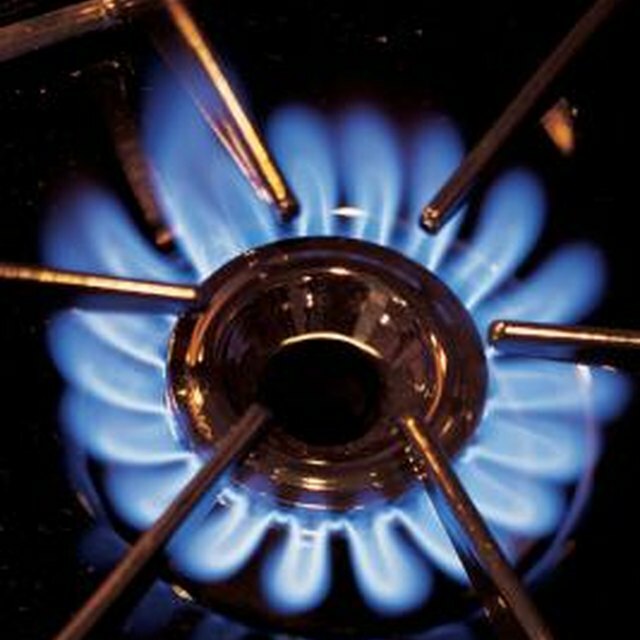 Cleaning and unclogging your gas stove is a maintenance task that should be performed frequently. Turn off your gas stove and let it cool down before working on it. Lift the burner grates and remove the reflector pans. Wash them in warm, soapy water, and then rinse them in warm, clear water. If they have tough stains such as dry grease, use a non-abrasive pad and baking soda paste. When you finish, dry them with a soft, clean cloth. Lift the stove top and clean the area below the surface burners with a damp cloth. Refer to your unit's manual if you don't know how to lift the stove top. Remove the surface burners and clean them with a damp cloth or a brush to remove food particles, dirt and grease. If the holes in burner heads are clogged, clean them with a pin. If the holes aren't cleaned, your gas stove may not ignite. Don't use wooden sticks such as toothpick that might break off in the surface burner. Rinse the surface burners in hot water, and then dry them upside down in the oven for about 30 minutes at 300 degrees Fahrenheit. Replace the surface burners when they are completely dry. Cleaning and maintenance steps may vary with different gas stoves, so always refer to the owner's manual for your specific stove.